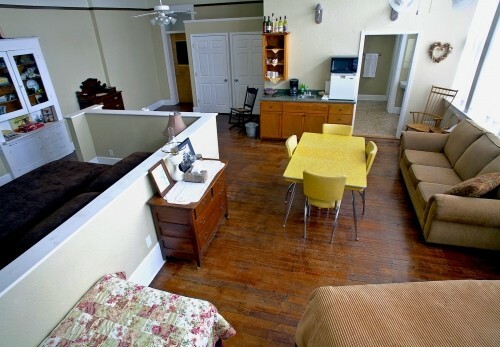 The uniqueness of this boutique Inn located in a quaint small town in southern Illinois is well…unique, in a very good way. The thought and execution of transforming a much loved small town America historic school building was the idea of innkeeper’s Gary and Andrea Dahmer. Transforming the rooms that were once the seat of learning for Anna Illinois children into luxury guest suites was started in 2002. The results are, as you will see, exceptional. I give it an A+. Guests come to the area for many reasons. Anna and the other nearby towns are surrounded by orchards, vineyards and forests waiting to be explored. 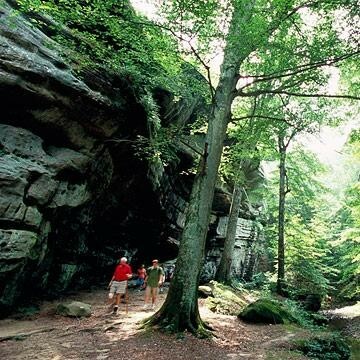 A getaway (or you may want to call it playing hooky) to the Shawnee National Forest and the Shawnee Hills Wine Trail is well worth a visit. I love learning about areas of the US that are off the beaten path that give you a sense of adventure. 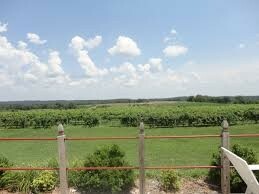 The Little Grand Canyon is that kind of place, tucked along the scenic Wine Trail. You can climb 365 feet from the canyon floor to a panoramic view of the Big Muddy River and the Mississippi floodplain. This sounds like a great place to play hooky, Huckleberry Finn style. After a full day of exploration, back to The Davie School Inn and Anna Illinois. You can go back to your suite and play school, the original chalk boards and book cases are fun features in the guest rooms. Or…you can soak in your whirlpool/soaking tub or luxuriate in a large luxury shower and enjoy the bottle of wine or local brew you purchased on your day trip to the vineyards. I would choose the latter. Another small town pleasure would be to take a leisurely stroll a block or two from the Inn to the Brick House Grill. The important word here is ‘leisurely’, because you are on your ‘play hooky getaway’ and there is no rush. Good local flavor and adult libations. Great way to end the day. Most small towns are very walkable and Anna is no exception. Mom & Pop stores are always fun to explore, you never know what you will find. But one thing you will find is a friendly smile and an authentic hello. Stores that are named ‘Jim & Dot’s Shoe Store & Western Wear’ and ‘This & That’ are sure to hold a few treasures. Back to the Inn for a great sleep in one of their large and well-appointed suites, you will want for nothing! Awaken to a wonderful breakfast delivered to your room. The innkeepers Gary and Andrea are all about hospitality, it is their middle name. Just like their home town business partners, they know their town and love to share it. Live like the locals for a few days! The B&B Team is representing The Davie School Inn for sale. If you are looking for a wonderful unique boutique Inn that has been lovingly transformed and in an area that offers a friendly small town lifestyle and business, this is a must see. 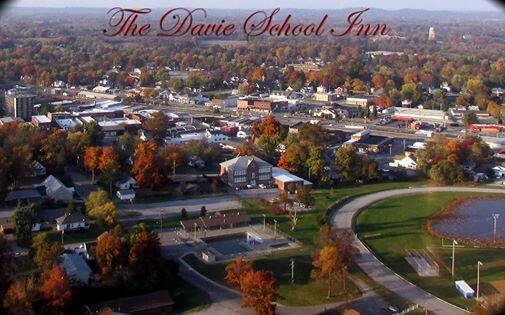 The slower pace and satisfaction of small town America living and The Davie School Inn may just be where your next life adventure begins. This entry was posted on Friday, November 14th, 2014 at 7:02 pm	and is filed under Better Way to Buy and Inn. You can follow any responses to this entry through the RSS 2.0 feed. Both comments and pings are currently closed.